What does 'producer-only' mean? Does our market need to be producer-only? ‘Producer-only’ means that vendors at the market sell only what they themselves produce—resale of items purchased elsewhere is prohibited or is severely limited. This policy keeps vendors from selling wholesale products or products from other farms and ensures the integrity of a market and its vendors. Vendors who resell produce (versus producing it themselves) can unfairly affect prices and competition in the market. Some ‘producer-only’ markets also allow vendors to carry a limited amount of product from local farmers who are not attending the market with permission from market management. This allows market managers to ensure that a wide range of products are in market every week and also helps vendors who may only have one product during different parts of the season remain in the market. There are a number of ways that ‘producer-only’ markets handle craft or value added vendors. Many markets require that the vendors produce the bulk of the materials/ingredients themselves, with exceptions for products that are essential but are not produced locally. Other producer-only markets may only require that the vendors produce the final product themselves and are not concerned with where the ingredients came from. 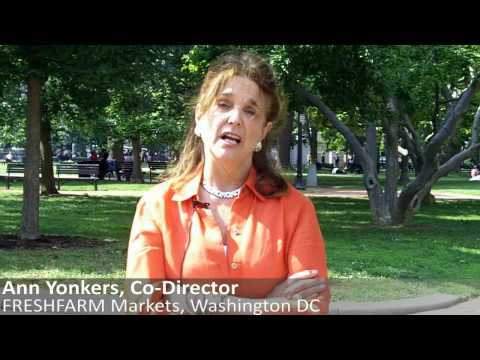 Your market does not have to be purely producer-only; in fact, there are many farmers markets that are not. The degree to which a market establishes strict producer-only regulations is a decision that each market needs to make for themselves and should be based on what is best for your vendors and your community. Be aware that some states require markets to have producer-only rules or sell only locally-grown produce in order to participate in Farmers Market Nutrition Programs (FMNPs). Additionally, you can browse for sample producer policies in the Rules and Vendor Applications section of the Farmers Market Resource Library. If your market has developed a unique producer-only policy, upload it here. What policies should we write for our market? Here are some examples of things to include in your policies. For even more examples, look at the Rules and Vendor Applications section of the FMC Resource Library. How do we enforce our policies? The first step in enforcing market policies is to make sure that the rules are enforceable, meaning that they need to be clearly worded and specific. The second step is to make sure all parties are aware of and understand the rules of the market. To do this, provide all of your vendors with a copy of the rules along with their application and have them sign a statement on the application that shows they have read, understand, and will comply with the rules, creating a legally binding contract between management and the vendor. Take a look at the Greenbelt Farmers Market Application Packet as one example. Remember to be diplomatic in the way you communicate your policies, whether they pertain to your producers or to your shoppers. Vendors should know that the rules are not the market manager’s power trip; they are designed to keep them and their customers safe, as well as to uphold the integrity of the market in the long-term. If there are policies pertaining to the general public (for example, that shoppers’ vehicles are not permitted in the market) make sure that these are in writing and readily available for public viewing. The third step is to check that your vendors are complying with the policies of the market. Many markets audit their vendors by inspecting them at the market and on their farms to verify that they are in fact producing what they are selling and to verify any claims about production practices. By visiting your farmers, you also have the opportunity to understand how they produce your food and the issues they face in doing so. The fourth step, and an extremely important one, is to be fair and consistent when enforcing your policies. Once you allow one person to violate your policies, it will be very hard to enforce that rule or any other rule, because it can set a precedent that you do not enforce rules. This also creates an unfair advantage to certain vendors, potentially causing conflict and leading to tension among your market community. Lastly, when penalizing a vendor for a violation in policies, make sure the punishment is appropriate to the severity of the violation. In their Farmers Markets: Marketing and Business Guide, the National Sustainable Agriculture Information Service (ATTRA) states, “Rules should provide a sliding scale of penalties based on numbers and severity of violations.” Having clear policies that all parties understand that are enforced in a fair and consistent way will set your market up for success and reduce conflict. While establishing and enforcing policies helps to reduce conflict at your market, it does not necessarily guarantee a conflict-free market. With that in mind, it is important to have measures in place to manage conflicts that might occur with vendors and customers. Take a look at Cooperative Development Institute’s presentation Tomato Wars: Conflict Management for Farmers Markets for guidance, as well as the Conflict Management section of the Farmers’ Market Federation of New York’s Farmers Market Manager Training Manual. Should we charge vendors a single base fee or a percentage-of-sales fee? There is no universal method for determining how a market will charge fees for their vendors. There are many different fee models, with the most popular including an annual base fee, a flat fee per market day, or a percentage-of-sales fee. Many markets also have a combination fee structure that includes two or more of the fee models. The fee structures can be based on a sliding scale or indexed to the size or type of vendor. There is a lot of flexibility in determining a fee structure and many great examples of successful models. 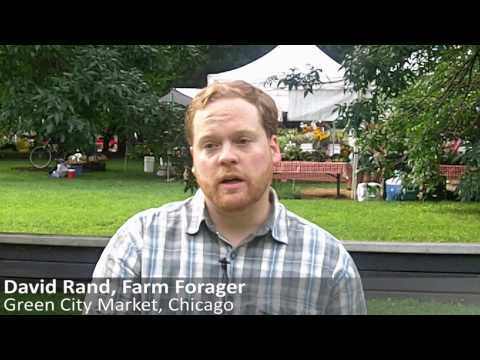 Check out this video interview with Michael Hurwitz of Greenmarket discussing vendor fees. Your fee structure can also help you define the type of vendors you want to attract—a lower fee can attract small, part-time farmers and gardeners, while a higher fee can attract larger commercial farms. The fee structure you choose is important because vendor fees are a large part of your market’s revenue and contributes to the size of your operating budget. There are some advantages and disadvantages whether you choose an annual fee, a flat fee or a percentage-of-sales fee. With an annual fee or flat fee in place, you will be able to more accurately estimate your annual revenues, while a percentage of sales fee allows you to benefit from the success of your vendors. Charging a percentage-based fee can be an easy way to track vendor sales, to evaluate the success of your market and your specific promotional strategies, and at the same time provide an incentive to promote and expand the market. Some also favor a percentage model because it does not disproportionately burden smaller-scale or beginning producers with lower sales. Zachary Lyons, from Seattle Farmers Market Association says, “Stall fees based on a percentage of sales is good for both the market and the vendor, because it means when the vendor does well, so does the market, and vice versa. It is truly symbiotic. And the market has a clear sense of how well the market is doing overall, and how well individual vendors are doing, so that the market can adapt itself to be stronger.” There is the possibility that some vendors may not accurately report their sales; a policy of random and periodic auditing, or incorporation of sales into market seniority (and stall location) may help prevent under-reporting. 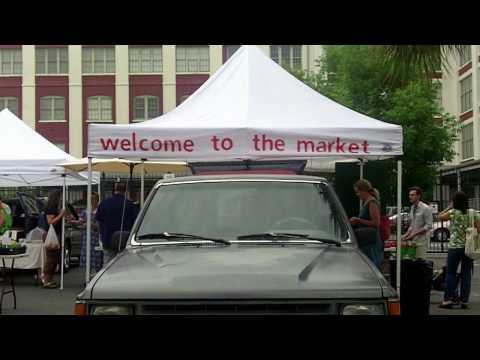 Take a look at the fee structures of other farmers markets in your region, as this might be the best way to get vendors to sell at your market. No matter what fee structure you choose, your revenues must be able to cover operating costs for the market and its programs. For many markets, the revenue from vendor fees will have to be matched with a hearty fundraising program to ensure the long-term sustainability of the market and its programs. The more you are able to rely on other sources of income besides fundraising and grants, the more time you will be able to invest in improving your market for the good of the market and its vendors. Can we transition from one type of fee system to another? While it can be difficult, transitioning from one type of vendor fee to another is possible. The Farmers’ Market Federation of New York says that farmers markets can start out with a lower fee to attract vendors and increase their fee as they become successful and gain their vendors’ trust. If you are increasing fees or transitioning from an annual fee or base fee to a percentage-of-sales fee, be transparent about it. Be sure your farmers understand the reasons for doing so, welcome their input, and let them know what the additional fees will support, ultimately improving their sales. It helps to have farmers on your board when making these decisions. Some fee structures, like percentage-of-sales, traditionally generate higher revenues and a more successful market organization. The higher a market’s revenues, the larger its operating budget and the higher likelihood of paid management staff. A full-time paid market manager can devote adequate time to promotion, outreach, and enforcement, which collectively bring in more customers, increase sales, and keep the market consistently placed in the community consciousness. If done correctly, at the right time, transitioning from one type of fee to another, or simply increasing fees to raise operating revenues, can be a win-win for all. How many vendors should we allow at the market, and how should we select them? The length of your vendor roster will depend on many factors, such as the amount of space at the market site, the products currently being offered, customer demand, and the capacity of your management team to manage a large market. Some markets set quotas for certain types of vendors to ensure variety and diversity, while others limit the number of producers in a given category, particularly non-farm vendors. Your existing farmers might also be able to increase the amount or variety of products they bring to market to meet growing demands. Suzanne Santos from Sustainable Food Center’s Farmers Market in Austin says that the number of vendors should be determined by the capacity of what the market can hold, so that the farmers are reaching their optimum sales based on the demand. As the demand goes up, and you see that the farmers can’t meet all of it, then consider bringing in more farmers. The Washington State Farmers Market Manual has a great discussion on supply and demand in the section titled Finessing the Right Product Mix. Monitoring producer sales levels is one way to track whether or not your supply is on pace with the demand. If you introduce a new vendor for a product already available and you notice the existing vendor’s sales decreasing dramatically and not recovering, you may want to reconsider the number of vendors for this product you allow next year. You should select your vendors based on the types of products that are in demand at your market, in keeping with the mission and the criteria of the market. You can conduct a product inventory like the one discussed in the Vendor Recruitment section of The Farmers’ Market Federation of New York’s Farmers Market Manager Training Manual to find out what products you are missing and limit selection of vendors to those that offer those products. Markets can also set up selection criteria, a system of prioritization, and/or a seniority system to select vendors as space becomes limited. Check out the Guidelines and Policies for the Neighborhood Farmers Market Alliance in Appendix B of the Washington State Farmers Market Manual for an example of a prioritization system. No matter how many vendors your market decides to allow or how your market decides to choose them, make sure you are consistent in doing so and that this is clearly spelled out in your market policies to guarantee fairness and avoid conflict. Should we allow artisan vendors at the market? What rules should apply to artisan vendors? As the key term in farmers markets is FARMER, many markets choose not to accept or strictly limit the number of artisan vendors at the market so as not to distract from the true essence of the market and limit opportunity for local farmers to participate. At the same time, artisan vendors can provide depth to the market, attract customers who are looking for artisan-made goods, and provide an outlet for and support for local artisans. Your answer to this question might just depend on what is already available in your community. If your community already has many outlets for local artisans to sell their products, then there might not be a felt community need for you to add artisans to your market, leaving all spots open for your farmers. Ultimately, if your market decides to allow artisan vendors, the rules you apply to them will be influenced by factors specific to your community and the mission and goals of your market. Be sure to give your customers and farmers a voice in the decision-making process, include your decision in your vendor rules, and be consistent and transparent in your communication and enforcement of your decision. In terms of rules, you will want to develop rules about the types of products artisans can sell, whether they have to be made from items produced by the artisans themselves or other local producers and rules about the number of artisan vendors you will allow and how you will select them. Maddie Ovenell of Lake Oswego Farmers’ Market suggests requiring artisan vendors to do demonstrations at the farmers market, adding a level of entertainment and education to your market. For more information, check out the article, Crafts or No Crafts: One Market’s Approach to Balancing Diversity and Integrity in the Farmers Market Coalition’s newsletter. You can also look at Marin Agricultural Institute’s requirements for artisan vendors in their Rules and Regulations. Should we allow prepared food vendors at the market? What rules should apply to prepared foods? For many markets, the primary goal is to support locally-produced food and the farmers who grow it in your region. 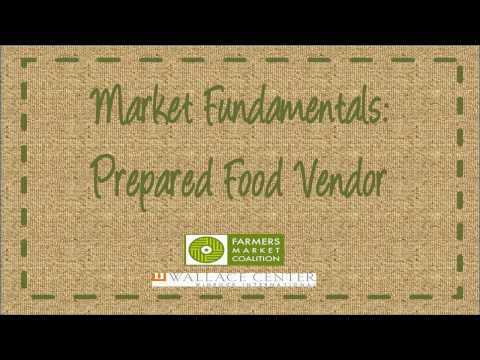 Prepared food vendors (not to be mistaken with value-added agricultural producers) typically cook and/or sell foods at the market. When you consider whether to allow prepared food vendors in your market, you should first ask ‘What is the impact of prepared food vendors on the sales of local farmers at the market?’ By adding prepared food vendors, would foot traffic sufficiently increase to provide a boost in sales for the local farm producers? Or would these vendors simply crowd out local producers, detract from the authenticity of the market, and induce people to spend their market dollars on prepared food (like freshly fried doughnuts) rather than on fresh produce? How do your farmers feel about it? You may also run into the concern that prepared food vendors could detract from other local food businesses outside the market that you want to support, and that you want to be supportive of your market. If this is the case, you can invite selected neighboring businesses to sell at the market. A great example of this is Market Umbrella’s Green Plate Special at their Tuesday markets, where they invite different local restaurants to occupy a market spot for one month to prepare a meal for market customers at or below $10 a plate. 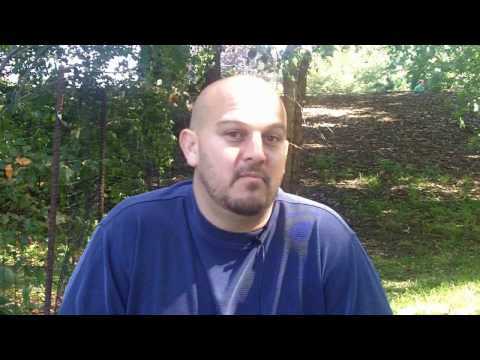 This highlights local restaurants and attracts those hungry customers to your market. It may take some trial and error to decide how many prepared food vendors at your market would best serve your market’s existing vendors and the local community. What rules should apply to prepared food? Just as you would develop rules that apply to artisan vendors, you will want to establish rules that determine the number of prepared food vendors you will allow and how you will select and designate priority. You will likely also want to spell out the types of products that are allowed and where your prepared vendors should source their ingredients. Some markets limit prepared foods to vendors that produce their own ingredients or use products from local farmers. Again, this will be a decision you make based on the mission, goals, and characteristics of your individual market and community. Remember, if ‘local’ is part of your market’s branding, strict rules about the origin of the ingredients can help reinforce your niche in the community. Your rules should ensure that prepared food vendors comply with all regulations specific to the types of products they prepare and sell by requiring that your vendors have all necessary up-to-date licenses. These regulations and the required licenses will vary by state and even local government. Make sure that you find out from your local health and agriculture department about any necessary licenses that your vendors need and ensure that vendors of prepared foods supply you with documentation of these. Prepared food vendors, just like other vendors, should carry product liability insurance to protect them (and limit the liability of the market) if a customer gets sick from their product. Take a look at the Market Management FAQ, What types of insurance should our market’s vendors have, and how do we check this? Click here for more information. As with all your rules, make sure rules regarding prepared food vendors are clear, equitable, and consistently enforced and determined with the overall mission of the market in mind. An example of Food Vendor Rules from Fayetteville Farmers Market. Should we allow pets at market? Whatever stance you take on pets, be sure that the safety of your market vendors and customers is a priority and put policies in place that ensure this. Communicate your decision effectively so your pet-loving customers do not feel shunned from your market. If you do decide to allow pets at your market, take a look at the Morgantown Farmers Market’s Pooch Policy for some ideas to consider. 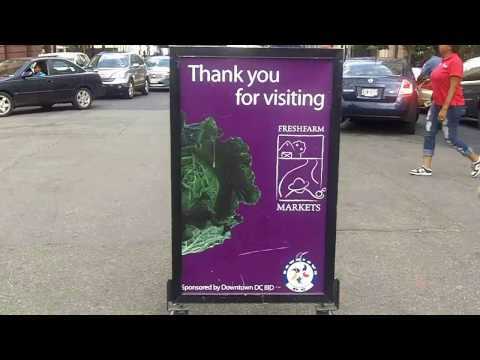 If you have found that your market cannot allow pets, here is an example of the Portland Farmers Market’s Pet Policy Key Messages that you can use for guidance when communicating your decision with your customers. Should we allow CSA pickup at the market?